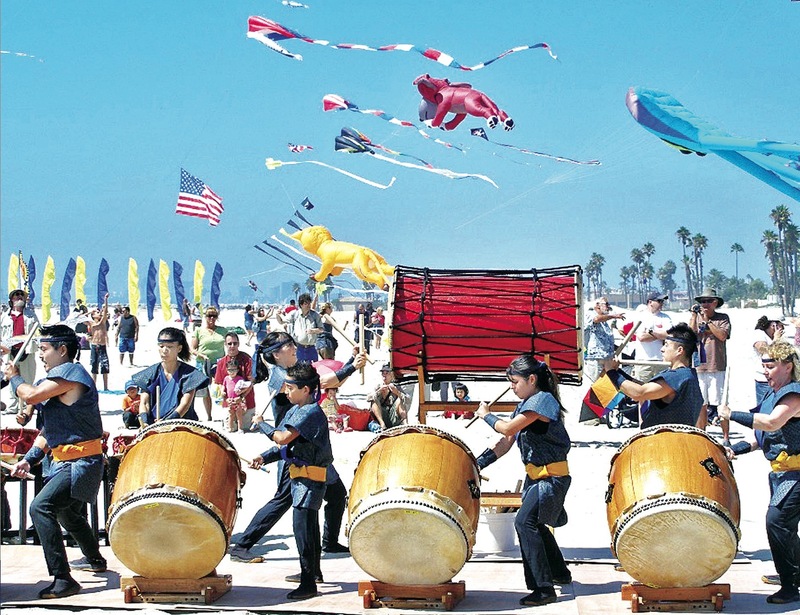 SEAL BEACH — Mikio Toki, one of Japan’s most famous kite masters, will be one of dozens of kite experts participating in the 17th annual Japan America Society of Southern California Kite Festival, set for Sunday, Oct. 20, from 10 a.m. to 5 p.m. at the Pier in Seal Beach. Attracting more than 12,000 visitors, the festival is the largest single-day kiting event in the United States and the largest Japanese-themed kiting event outside of Japan. Admission is free. Toki will visit from his hometown of Chiba to fly and display and fly his traditional Edo–dako (traditional Tokyo-style kites constructed with washi rice paper and bamboo). He also will help with the festival’s free children’s kite workshops in which every child can build and fly a small kite. Also joining the festival is Japan’s 1998 world champion of sport kiting, Chieko Tagami. Tagami will conduct introductory lessons on precision sport kiting, also free of charge. 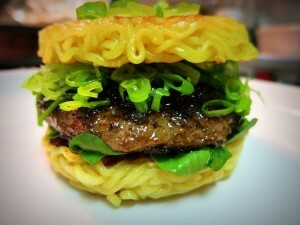 Keizo Shimamoto will prepare 500 of his coveted Ramen Burgers for the kite festival. Presented by the JASSC in coordination with the Up Up & Away Kite Club, the Japan America Kite Festival features more than 1,000 kites of all sizes, including giant “show kites” the size of a city bus. There also will be performance stunt and sports kite demonstrations, synchronized kite “ballet,” as well as children’s activities, including kite candy drops and kite tail chase for younger children. The festival also showcases Japanese cultural activities, including Edo ame-zaiku (traditional Japanese candy art), taiko performances, naginata (long handled, wood sword fighting), Bon Odori dancing (Japanese traditional summer dances), minyo (traditional Japanese folk singers) and Tsugaru shamisen performances. Also making an appearance for the first time is Japanese samurai action hero Fujiyama Ichiban, for photo opportunities with the children. Visitors can also sample some Japanese foods including onigiri and takoyaki (ball-shaped snacks made of a wheat flour-based batter with bits of octopus). The creator of the newest food sensation, Ramen Burger, Keizo Shimamoto, is making a return trip to L.A. on Oct. 20, made possible by Delta Air Lines. Taste the sensation that has captivated the world. Shimamoto will be serving 500 Ramen Burgers starting at 11 a.m.
Held annually at the Seal Beach Pier since 1996, the Japan America Kite Festival is sponsored by Mattel Inc. Delta Air Lines is the official festival airline and additional sponsors include Hitachi Ltd., The Japan Foundation Los Angeles and the Nikkei Women Legacy Association. Other supporters include Affinity Associates – HappiCoats.com, Hula Girls Shave Ice, Mac-fusion, Nat Ferguson Realtor, O’Malley’s on Main, Pacific Inn, Panera Bread in Santa Monica, Seaport Marina Hotel, Sea Side Café, SKS Insurance Agency Inc., Sunny Blue LLC, Takoyaki Tanota, and Up Up & Away Kite Shop in Seal Beach. For more information, visit www.jas-socal.org/.